Home > Latest News > Kangana Ranaut to play Jaya in A L Vijay’s biopic of politician! It is out! 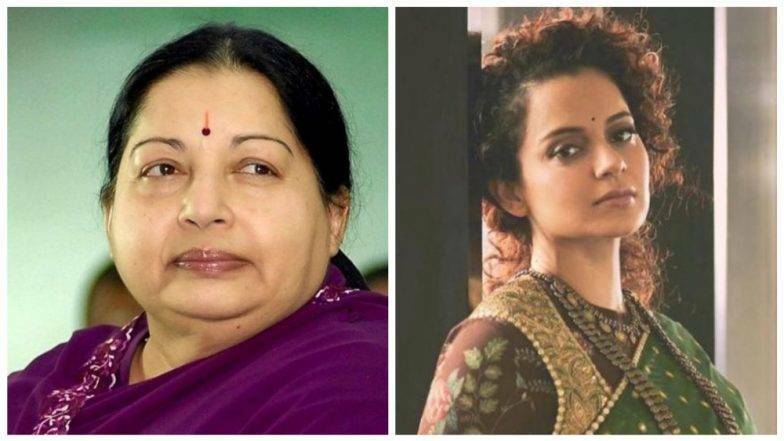 Director A L Vijay, who is now making a film on J Jayalalithaa titled Thalaivi, has chosen Kangana Ranaut to play the late politician in his film. Music director G V Prakash, who will be teaming up with director Vijay for the film, made the announcement on social media. The film is being produced by Vibri Media and Vishnu Induri. It will be shot by cameraman Nirav Shah, Vijay’s favourite cameraman. It may be recalled that there is a race between three directors to make biopics on Jayalalithaa. While Vijay is directing Thalaivi, director Mysskin’s assistant, Priyadarshini, has announced that she too will be making a biopic on Jayalalithaa called The Iron Lady. This is being produced by Paper Tale Pictures and features Nithya Menen as Jayalalithaa. The third director in the race is veteran director Bharathiraja. He too is believed to be making a film titled Thaai: Puratchi Thalaivi. This film is being produced by Adithya Bharadwaj, producer of Y-star Cine and Television Private Ltd. While three directors are making biopics on Jayalalithaa, only Vijay’s film can be considered as the official biopic as only his film has the no objection certificate that has to be granted by the next of kin of the deceased person. Jayalalithaa’s nephew Deepak, it is believed, has granted a no objection certificate to Vijay’s biopic of Jayalalithaa. Tagged Kangana Ranaut to play Jaya in A L Vijay's biopic of politician!